Growth & Developments -Evidence of impressive performance and achievement coupled with planning for growth and acting upon opportunity in the market. More than 3 years old. Less than 75 employees. Must demonstrate responsible corporate giving. This can be any type of business from manufacturing, financial services to retail . Decided by the Judging Panel and agreed with the Chamber as overall Business of the year. 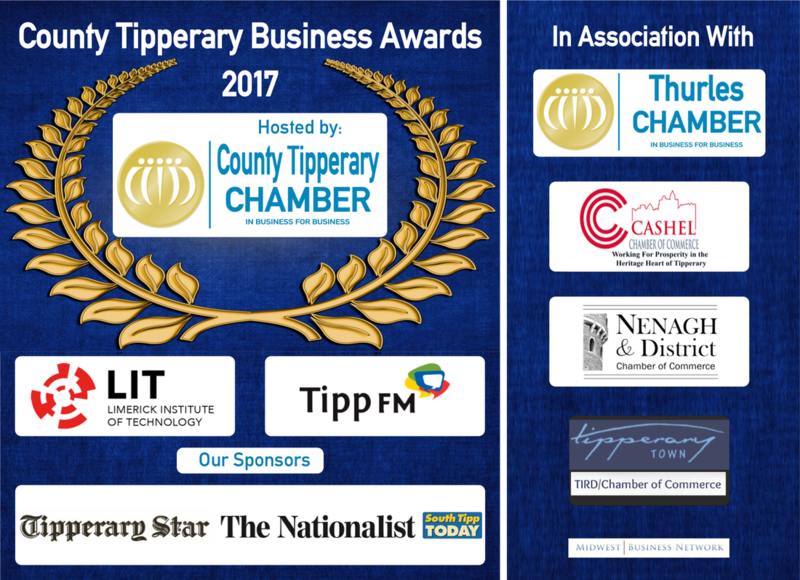 To be chosen by County Tipperary Chamber President.